Thus speakith Yogurt, master of The Schwartz, and ultimate know-it-all when it comes to squeezing a buck out of the Spaceballs franchise. Surely, then, the diminutive guru would approve of these plans to turn everyone’s favorite Star Wars spoof/rip-off/homage into a series of Lego sets, suitable to be played with by Dark Helmet, himself. 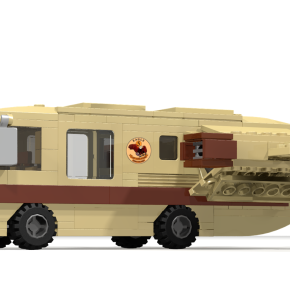 Feast your eyes on… Spaceballs: The Lego Sets! 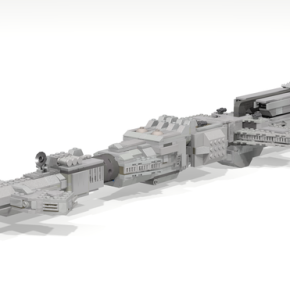 The Set will include the ‘Eagle 5’ and Captain Lone Starr with his Schwartz-saber. Also included are the secret hyper jets in the rear of the ‘Eagle 5’! 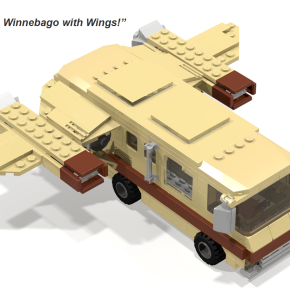 (No one will expect a Winnebago having secret hyper jet, not even Dark helmet). The Eagle 5 ‘Hero for Hire’ logo will come as a printed piece with the set. 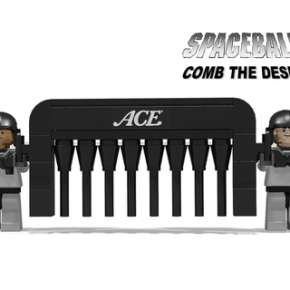 …two Spaceball soldier minifigs included in this set with a Comb. So they can comb the desert. 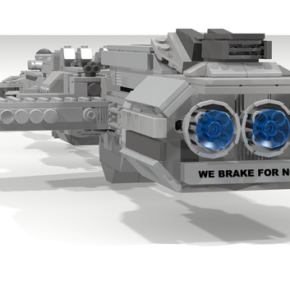 The ‘WE BRAKE FOR NOBODY’ bumpersticker will come as a printed piece with the set. In order for both sets to become actual Lego products, they must first pass a certain vote threshold. That means it’s time for you (yes, you!) 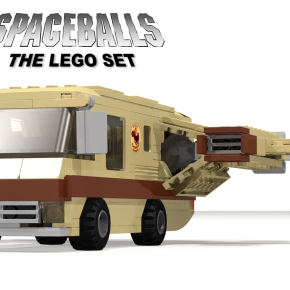 to head over to the Lego Ideas site, and let ’em know you want to see these Spaceballs on shelves by hanukkah. Both sets face some stiff, but ultimately lame (read: non-Mel Brooks-related) competition, so each and every vote counts if you want even a shot at making these things a reality. There. You know what you have to do. Get voting, and as always: May the Schwartz be with you. Look Kids – It’s Pope Paul Barman!